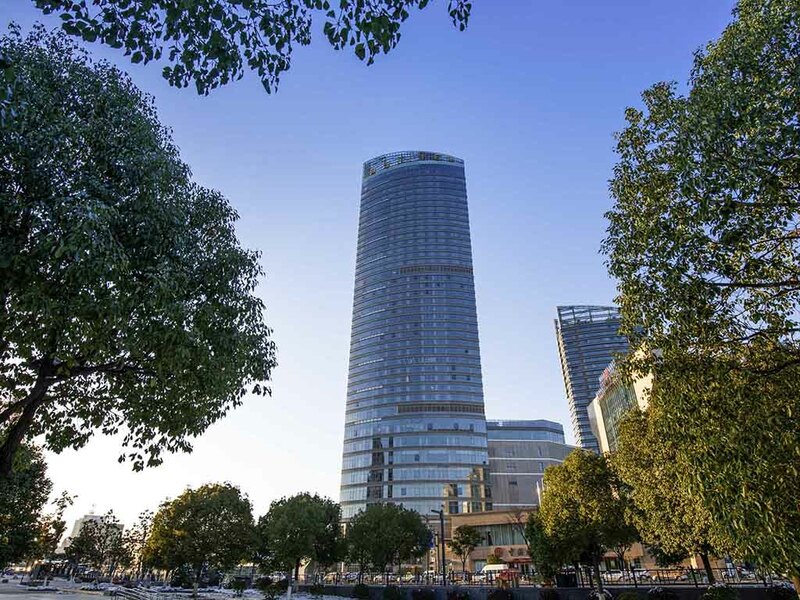 Nestled in the Central Business District, the 41-floor Sofitel Lianyungang Suning provides luxurious accommodation, modern and recreational facilities, as well as conference and banquet venues. Its restaurants offer authentic Huaiyang cuisine and seafood delicacies. The hotel creates fantastic moments for its guests with its careful attention to detail. Lianyungang is an international harbour city located in the Northeast of the Jiangsu Province, the starting city of the ancient Silk Road. It's famous for its natural beauty such as the Huaguo Mountain, Yuntai Mountain, Hot Spring and the Yellow Sea. Relax in the stylish rooms and suites equipped with the latest in room technologies. The room is ideal for work, rest and entertainment. Sofitel MyBed offers a high level of comfort, while allowing guests to stay connected. Kwee-Zeen Western Restaurant, located on the 6 floor, has a capacity of 160 seats. With the various kinds of dishes and a modern and innovative design, it creates a unique dining place for all guests. The design of LE CHOINOIS evokes a feeling of harmony. It offers a wide selection of authentic Huaiyang cuisine, Sichuan cuisine, Hunan cuisine, Cantonese cuisine and local cuisines. The French-inspired, 45-seat Le Bar is the ideal venue for small conferences and social gatherings.